They say empathy makes you a better person. The ability to relate to another sentient being is fundamental to evolution. The acquisition of this wisdom has changed me on a level that is sublime. While always sympathetic to animals I held a deep aversion to bugs, creepy crawlies just made me cringe. 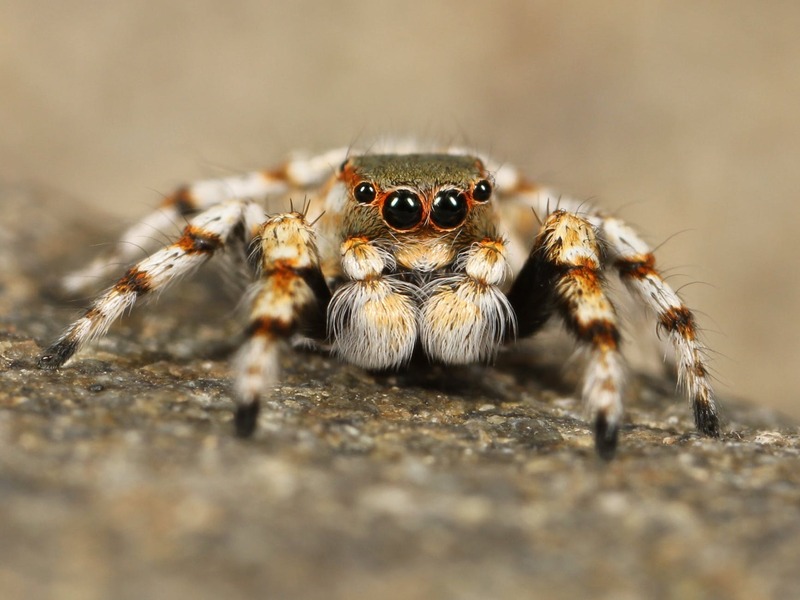 All that changed when I read that jumping spiders can see the moon. The jumping spider’s eyes are like a Galilean telescope. Their eyes even swivel like a telescope. The muscles in their retina allow them to change their point of view without moving their head or entire body. It reminded me of my earliest memory of the moon. The first time that I was allowed to stay up late and I chanced upon that glorious ball of white in the dark sky. I was so in awe of the celestial orb that I just sat there looking at it, mesmerized. I remember pointing to it and my mother telling me that it was the moon. I had seen pictures of it in my storybooks, but seeing it ‘alive’ in the sky, had filled me with wonder. I felt my mind expand, the concept of the universe was just starting to gather roots. The realization that there is a whole world out there, yonder, behind the clouds, hidden in darkness filled my soul with bewilderment. I stared at the round moon and I took in every curvature, every blemish and gasped as I saw clouds cover it, wondering if it would fade away. I squealed with delight when the clouds passed, rejoicing that the moon was still there. When I got to stay up late again I saw the moon though not as full and asked my mum why was it dying, did I do something wrong? She laughed and told me it would be back, that’s what the moon did, it grew and then slowly vanished and then came back, like what the sun did every day. As I grew up, I took it for granted, I lost the wonder, I still harbored remnants of my fascination with the stars and the cosmos but the moon no longer fascinated me. So you can imagine how I felt when I read that dung beetles use the Milky Way for orientation. How do you squash a bug once you know that it can see the moon? How do you treat it with contempt once you learn that it uses the stars to chart a straight path?